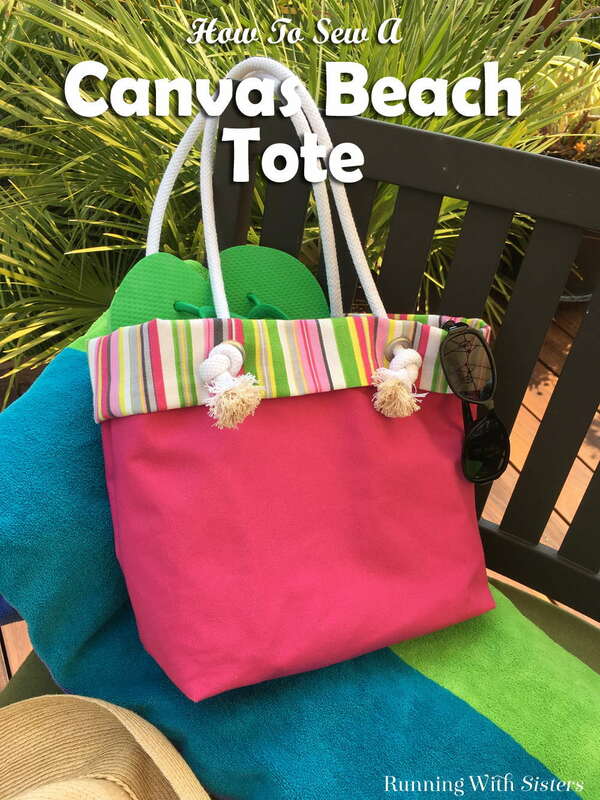 This Beachy Canvas Tote Bag is an easy-sew project and the results look great! We love how this pattern creates an easy lining to fold over the edge of the tote. 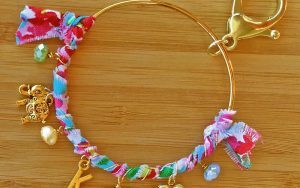 And we think the grommets and rope handle make it extra cute! 1. Cut two pieces of magenta canvas 16″ by 16″. 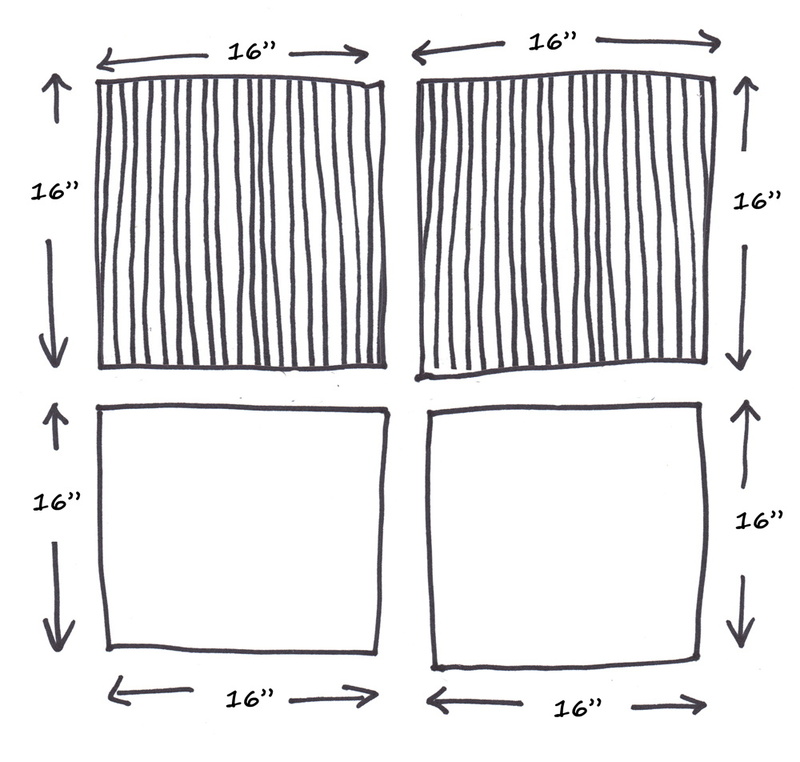 Cut two pieces of striped canvas 16″ by 16″. 2. Sew one striped square and one magenta square together using a 1/2″ seam allowance, stitching perpendicular to the stripe. 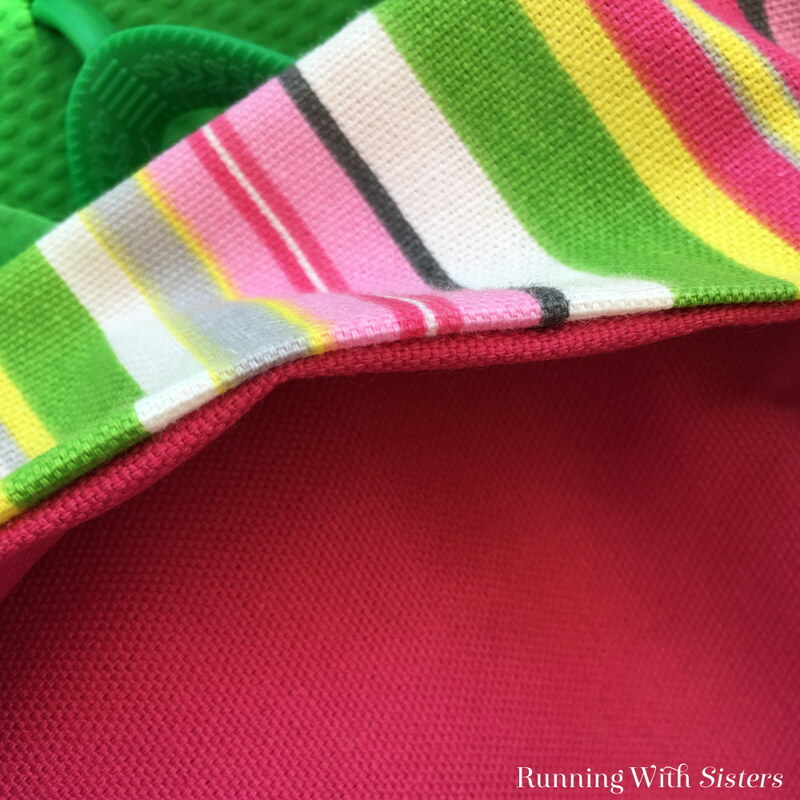 To do this, lay the stripe over the magenta, pin one end, and sew on the machine with a straight stitch. Repeat with remaining squares. Press seam allowances open. 3. 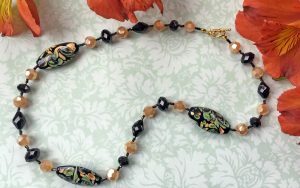 Lay the two pieces face to face with the fabrics matching each other. 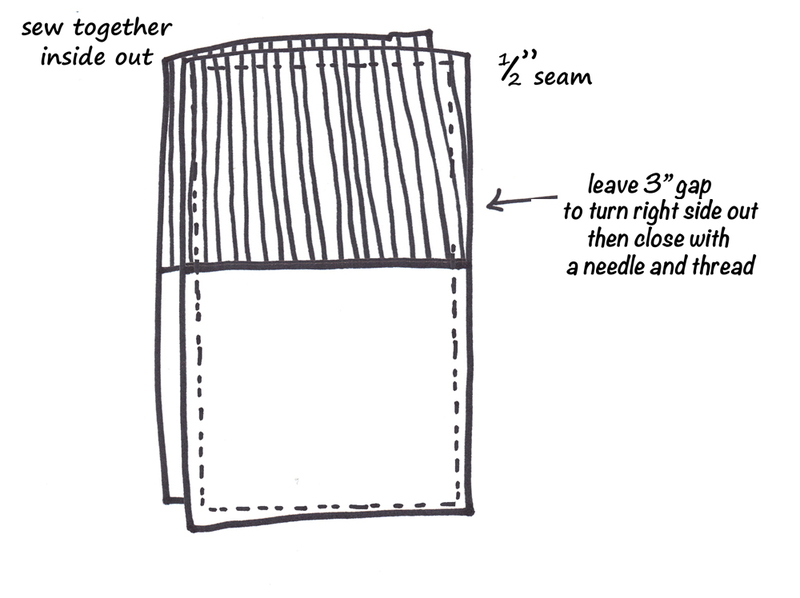 Pin all the way around the edge and use the sewing machine to sew together with a 1/2″ seam, leaving a 3″ opening in the striped canvas side for turning the fabric right side out. 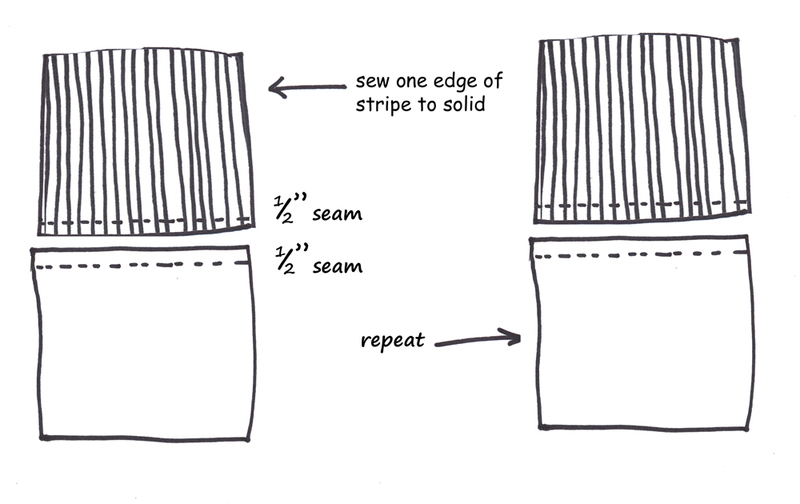 Sew a few stitches in reverse at the beginning and end of the seams to lock them in place. 3. 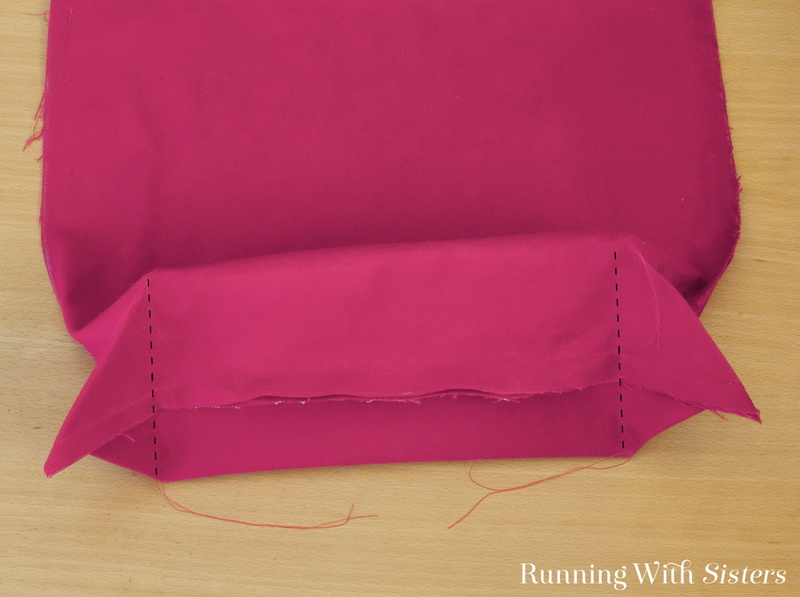 To give the bottom of the tote a boxed shape, pull the front and back fabric at one corner apart until the seams touch on the inside. Draw a chalk line perpendicular to the seams 3″ from the corner, then machine-sew. Cut off the excess fabric. Repeat for all four corners. 4. 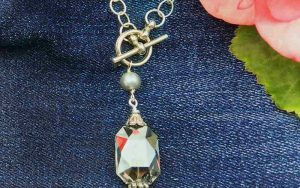 Turn the piece right side out, then sew the 3″ gap closed using a ladder stitch and a needle and thread. Pull the magenta sides apart and tuck the striped canvas sides into the magenta canvas as a liner. 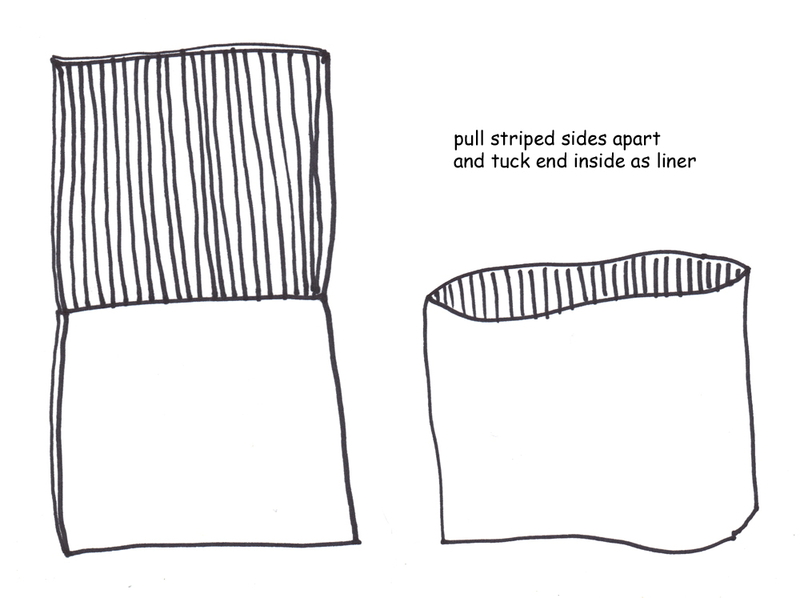 Fold the top edge of the striped canvas over to create a 1 1/2″ wide lip. 5. 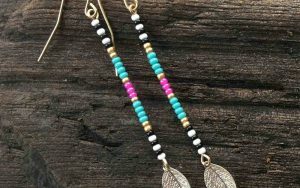 To set the grommets, use chalk to mark the grommet holes, centering them on the lip 4 1/2″ from the side seams. Cut two perpendicular slits smaller than the grommets (cut through both the magenta layer and the striped layer). Place the anvil from the grommet setting kit on the floor. Place the grommet side that has the long shaft in the anvil. 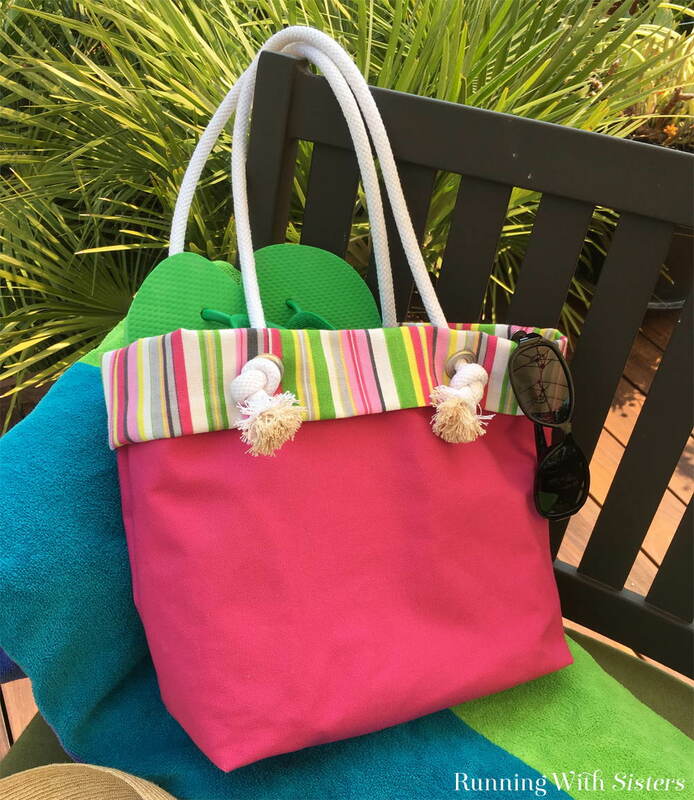 Place the tote bag on top (magenta side down) and slide the shaft of the grommet up through the cut holes. Place the grommet washer on top of the shaft and slide it down. Next, place the setter tool into the open end of the shaft and firmly strike the setter tool with the hammer. 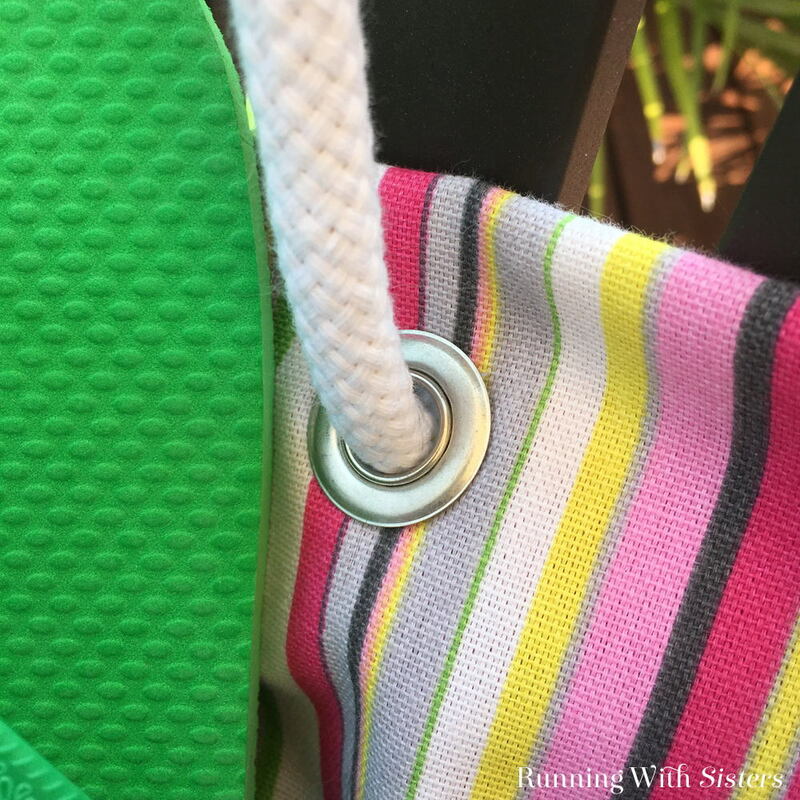 The edges of the grommet will curl under to connect both sides of the grommet together. Repeat for all four grommets. 6. Cut the rope in half. 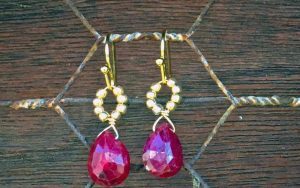 Feed the ends through the grommets, securing each end with a knot and trim. 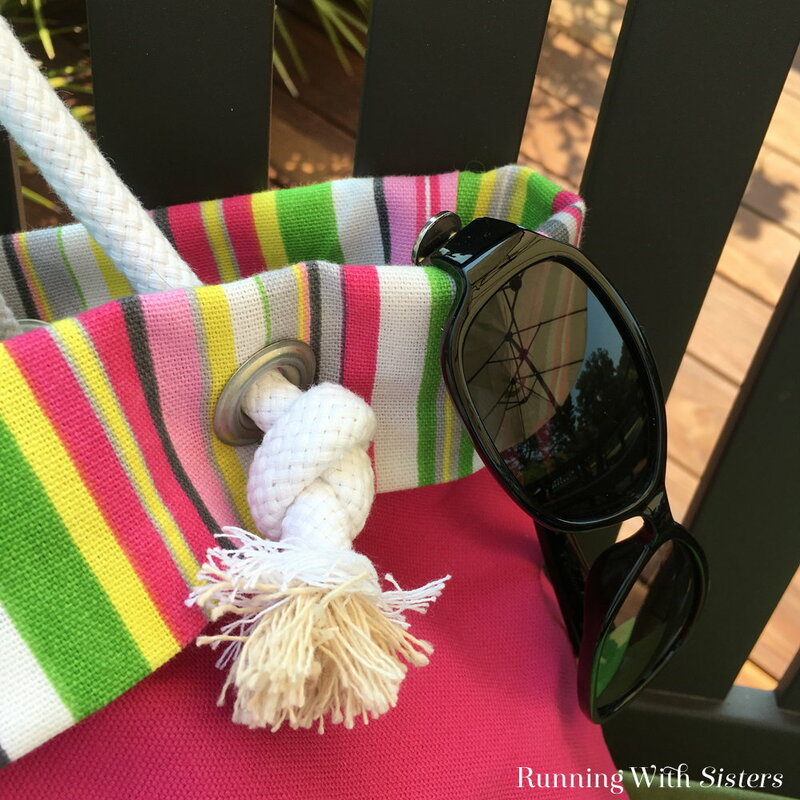 To keep your tote looking brand new for years to come, spray it with a fabric protector like Scotchgard! If you have any questions, leave us a comment. We love to help!